Lloyd of Gamebooks: Your adventure ends here - in a blaze of glory. Here is a death paragraph from The Masters of Darkness by Joe Dever. 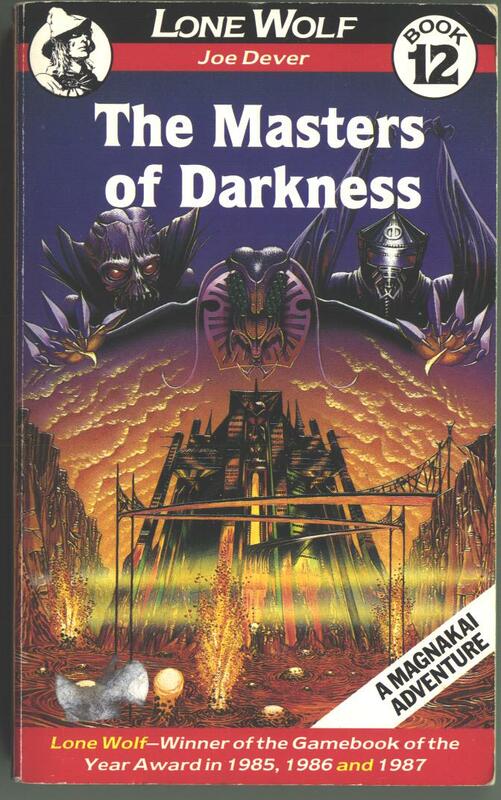 This is the 12th Lone Wolf book in the series and the last of the Magnakai series with a climax in the city of Lone Wolf's nemesis, Darklord Gnaag. The moment you unsheathe the Sommerswerd, it radiates such godly power that every creature in Helgedad is alerted to your presence. Within minutes you are surrounded by a nightmare legion of snarling, snapping screaming horrors. You fight valiantly, and slay many before you are eventually overwhelmed and taken in chains before Darklord Gnaag. With cruel glee, he orders you to be cast in the Lake of Blood where your endless suffering will feed its unholy flames for all eternity. Tragically, your natural life and your mission end here. The Sommerswerd is a powerful holy magical weapon. 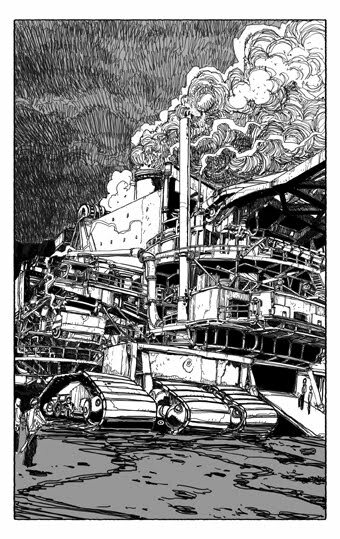 Helgedad is a city ruled over by your enemies and is best described as a steampunk hell. I know it looks ghastly but the rest of the city is disturbingly abominable. 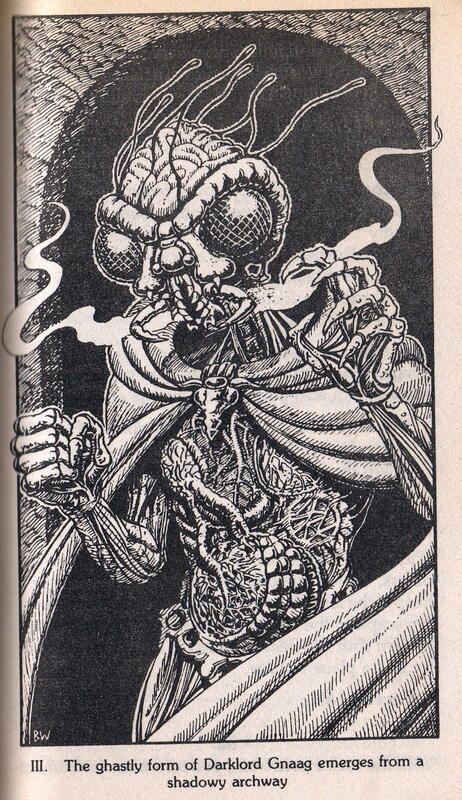 Darklord Gnaag is a powerful insectoid monster with lots of magical power. He's a bit like the emperor from starwars except he could probably latch on to the side of a shaft if he gets flung down it. The Lake of Blood is not really described in the books, but I think you get the idea of what it's like. You are doomed in this paragraph but the book throws you a bone and let you slay hordes of mooks before you meet your death. In this way, you are rewarded as much as you can be in this situation. Sure, you're going to die but you are going to take down dozens to hundreds of your enemies in the process. You might die, but you get one last chance to show how badass you are. Joe Dever describes your death as a tragedy. I found a definition of tragdy on the internet. It goes like this. Drama or film portraying the doomed struggle and eventual downfall of an admirable but flawed hero. Usually about powerful leaders or extraordinary individuals torn between opposing goals or difficult choices. Examples: Sophocles, Oedipus the King; Shakespeare, Hamlet. Lone Wolf definately is an admirable but flawed hero in this ending. Admirable traits: Has a powerful magic sword, good at killing his enemies. Flaw: Can't follow blindingly obvious avice. At the beginning of this book, I am told that I am going to the city of my greatest enemy, Helgedad, and it will be full of his servants. I am also told that using the Sommerswerd will alert all of the inhabitants of Helgedad to my presence and that I should only use it when I am within striking distance of Darklord Gnaag. In order to hide its powerful magical aura, I am given a scabbard lined with korlinium which makes the sword undetectable. As long as I do not unsheathe it before I face Gnaag, I will be OK. The person who gives me this advice is Lord Rimoah, a trusted and experienced ally, so it's not like he's making this up. Also, if you are given the option of using the Sommerswerd, it tells you to go to 208. If you face Gnaag and you want to use the Sommerswerd, it tells you to go to 214. There's a big clue. If you're going to go down, go down in a blaze of glory. Joe Dever is an evil genius and a master of reverse psychology.